Thursday, December 18, 2008, Courtesy USATF. INDIANAPOLIS � USA Track & Field CEO Doug Logan on Thursday named Michael A. McNees the Chief Operating Officer of the organization. As COO, McNees will be the principal deputy to the CEO; supervise USATF's administration, operations and marketing departments; coordinate long-range planning; act as the principal staff coordinator and advocate to the masters community; and be the chief staff liaison to the new Board of Directors, assisting in the establishment of procedures and policies and coordinating Board training. He will officially join USATF on March 1. Currently the County Administrator of Blaine County, Idaho, McNees has two decades of experience as a high-level administrator and COO, overseeing budgets in excess of $600 million and managing organizations with as many as 1,400 employees. McNees was a three-time varsity letterman for the Indiana University track team and has an MBA from Louisiana Tech University. Specializing in the 400m hurdles, he earned all-conference honors and was a Big Ten team champion as well as a member of IU's school and Big Ten meet record-setting 4x400m relay. As a graduate student at Louisiana Tech, he coached the school's sprinters and hurdlers. Earlier this year, McNees, 53, began training again for masters competition in the 200 and 400 meters. "Bringing Michael McNees on board is the first, crucial step for remaking USATF as a highly functioning business," Logan said. "He has a unique blend of qualities that makes him extraordinarily well-suited for the particular challenges of this new role. He truly understands our sport on every level, and most important, he understands how to make even the most complex public bodies function on the highest levels." "I am thrilled to take on this new challenge, which will enable me to apply my professional skills to the sport that has been so instrumental in making me the person I am today," McNees said. "I am energized about the possibilities for USA Track & Field, and I look forward to having a role in fulfilling Doug's vision for the sport." 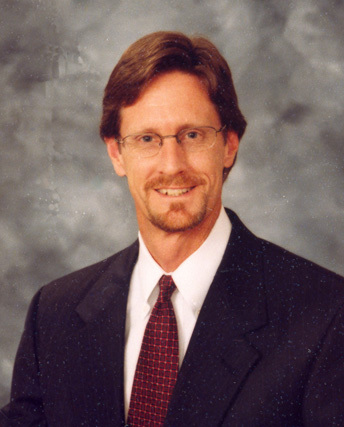 Prior to his position in Idaho, which he assumed in June 2007, McNees was City Manager of Sarasota, Florida, from 2001-2007. As the top administrator for Money Magazine's 2000 "Best Small City in America", he oversaw a budget of approximately $140 million and managed operations ranging from the Sarasota Police Department to the Ed Smith Stadium, the spring training home of the Cincinnati Reds. He also was Executive Director for the city's Downtown Community Redevelopment Agency, with nearly $1 billion worth of redevelopment projects under construction or in progress during his tenure. He served Collier County, Florida � with 1,400 employees and a $611 million budget � in various capacities from 1984-2001, including as Assistant County Manager/COO from 1995 to 2001. As Utilities Administrator from 1994-'95, he managed a 200-employee, 75,000-customer utility, and as Management and Budget Director from 1989-'94 presided over the administration of a $291 million county budget. McNees' professional and community activities include serving four separate one-year terms as President of the Naples Players, Inc., where he helped guide to completion a successful $6.8 million capital construction campaign and startup of a two-stage theater complex. He is a former board member and first vice president of Big Brothers/Big Sisters of Collier County and participated with Sarasota County's Committee for Economic Development. He was a founding member of the Sarasota Actors Workshop and has been a volunteer varsity high school basketball coach.